Intelligent Depository Modules, Bulk Note Acceptors, acceptors, etc. Our customers enjoy the benefit of partnering with a repair center with 200+ years of product experience repairing/refurbishing Diebold ATM equipment. Our less that ½% warranty experience coupled with our five-workday turn time performance and a nearly 0% parts shrinkage history provide our customers an unbeatable competitive advantage in their business activities. Our new facility allows us the footprint necessary to maintain 20+ certified end-unit test beds as well as product specific testing methods dedicated to our continuously improving Diebold parts repair/refurbishment processes. Our internal Diebold product and technical knowledge is not limited to our technical staff, but is also exhibited by our administrative, materials handling, purchasing and marketing personnel. Our proven ability to repair/test the entire iSeries and iX series PCBs/assemblies as well as our unique capablilities to repair/refurbish the complete line of OPTEVA parts set Circuitech apart in the independent repair business. 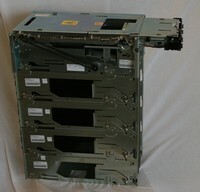 Feel free to contact Circuitech with your Diebold ATM parts repair needs.